This summer I was thrilled to be one of 11 winners in the PAFA Christmas in July giveaway . My prize was this beautiful handmade snowman, and I was so delighted when he arrived that I just had to share him with you. "Frosty", as we've named him, is certain to become a much-loved and treasured part of our Christmas celebrations from now on! Frosty was handmade by Donna Petersen, a lovely grandma from Wisconsin who, together with her husband Art, handcrafts original gifts for the home. 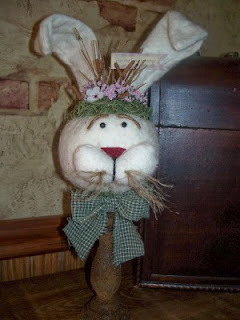 Donna is extraordinarily talented and loves painting, sewing and turning so called trash into treasures. 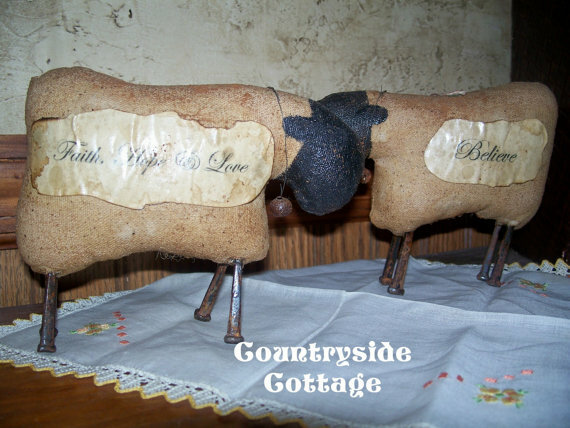 She also thinks almost anything can be recycled into something unique, and her truly beautiful Country, Primitive, and Cottage Shabby style creations are available in her wonderful Etsy shop, Countryside Cottage. 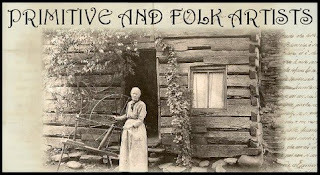 Donna is a member of the Primitive and Folk Artists (PAFA), who regularly hold giveaways. PAFA have just completed their autumn event - "Strolling Through The Pumpkin Patch" and once again there were some wonderfully original handmade prizes. It's too late to enter now, but keep an eye out for their next giveaway, it's sure to be amazing! Cute, Cute, Cute! Love all of them!! Congratulations on your win! Donna is a very talented artist! We are so glad to have her part of our wonderful PAFA team! Thanks you so much Erika! I am so glad you and your family like "Frosty". He couldn't of found a better home! I appreciate all the great things you said and for being featured in your blog! Also thanks for the team plug! They are a great group and so much talent! Just type in PAFA in the search on Etsy and check them all out! Thanks again Erika! It was a pleasure, Donna - we were so thrilled to receive "Frosty" I simply had to write about him and his talented creator! Donna is so talented! Thank you for sharing. Hello Erika congrats on winning Donna's snowman. Oh cool! My PAFA team sister. 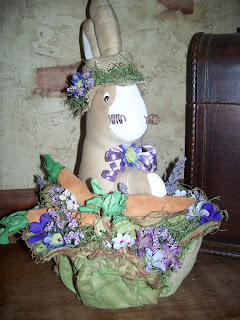 Congratulations on your win Erika :-) Donna is one of our crafty gals. Thanks for sharing! Congrats, Ericka! Donna's work is wonderful and she is such an asset to the PAFA team!